A great way to speed up the shopping process for busy consumers is to put mobile point of sale solutions in the hands of your staff. This allows them to serve customers wherever they are in the store and offer a fast, seamless checkout. 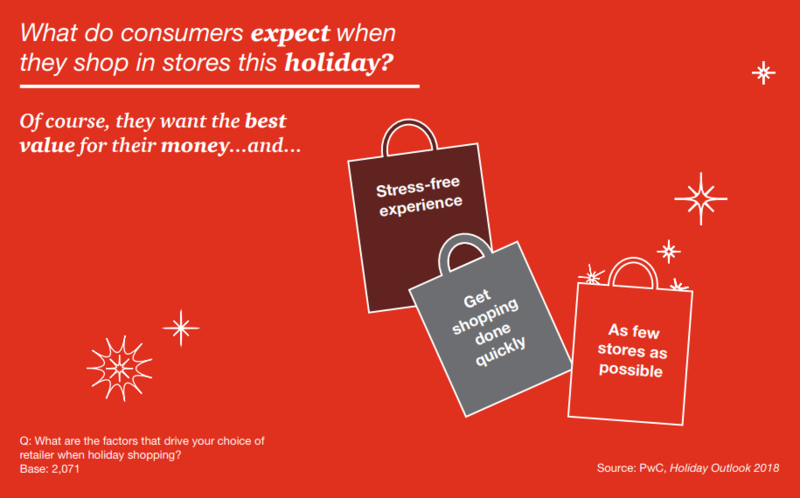 When PwC asked consumers what factors drive their choice of retailer when holiday shopping, a “stress-free experience” and “get shopping done quickly” were two of the most common responses. 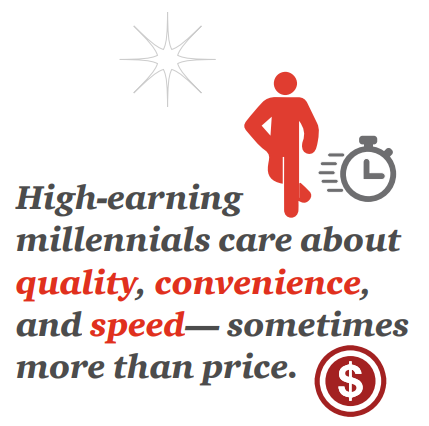 In addition, high earning millennials, who will spend more than double what millennials with incomes below $70,000 will spend, often care more about convenience and speed than price. A quicker, more seamless shopping experience prevents customers from abandoning purchases and increases overall customer service and satisfaction. As payment technology advances, consumers will expect to be able to pay with their preferred method. This upcoming holiday season, 30% of consumers will use smart payments, 24% by smartphone and 16% by wearable (i.e. an Apple Watch). 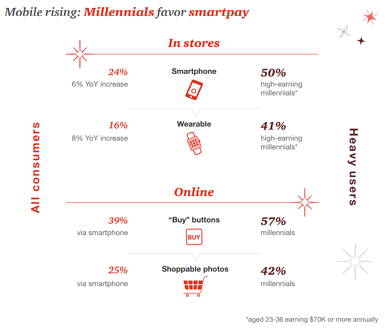 To add, high earning millennials are twice as likely to pay by smartphone compared to consumers overall and 2.5 times as likely to pay by wearable device. Accepting multiple forms of payments, such as a mobile wallet through a smartphone or wearable device, can be used to drive stronger loyalty. Value-Added Service (VAS) tools can integrate a merchant’s loyalty programs automatically, without the hassle of having to ask the customer for a phone number to look up their account. In addition to greater loyalty, giving customers the opportunity to pay how they want to pay increases their satisfaction overall and may give you that edge over your competitors. Another way retailers can tackle the holiday shopping season is by ensuring that consumers are able to seamlessly shop across multiple channels, whether that’s in-store, online, through mobile devices or via unattended solutions. PwC found that 91% of consumers will shop in stores, while 84% will shop online. 75% will shop both in stores and online. Furthermore, those who shop both in stores and online will spend more ($1,379) than those who shop only in stores ($742) or only online ($1,075). There is also a desire from consumers for a combined experience of the convenience of online and the personal connection of in-store. With so many different touchpoints, retailers need to ensure the customer experience is optimized and consistent, no matter how the customer decides to shop. A consistent experience across all channels will drive better loyalty from customers because they are able to pay how and when they want. For retailers to capitalize on the growing holiday season sales, they need to be equipped with the best customer service compared to their competition. Consumers are looking for a convenient, speedy shopping experience that lets them pay on their terms. 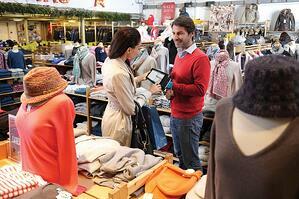 How prepared is your business for the holiday shopping season?  Check out our Retail Payments Playbook for a complete guide to a seamless customer experience across every interaction and all points of payment acceptance.